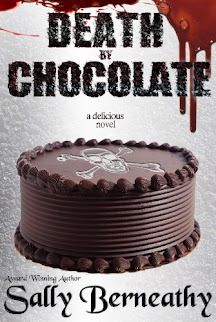 A Stand-Alone Christmas Novel from a Popular Series! Steven’s brother and his family have come to visit for the holidays. Looking for a relaxing and quiet location to enjoy the scenic beauty of Puget Sound, Steven chooses Point No Point, the oldest lighthouse in the region. Here, the lighthouse keeper’s quarters have been remodeled into a vacation rental, and it seems to be the perfect location. Perfect, if your idea of quiet is loud thumpings coming from the abandoned museum next door. Perfect, if your idea of relaxing is a slow, creeping infection emanating from the shipwrecks just off the shore. In this stand-alone novel, Steven and his father Roy find their picturesque Christmas holiday turning into a family nightmare as they unravel the haunted secrets from the deadly shores of Point No Point. A Christmas Haunting at Point No Point is the eleventh novel in The River series, but no prior knowledge of the series is required to enjoy it. Steven removed the key from the lockbox and slid it into the knob on the door. The door swung open into the dark room, creaking lightly. “Here we are,” he said, reaching inside and finding a light switch. The room illuminated; it was big and spacious, with comfortable furniture. He released a sigh of relief. You book rooms based on pictures on the internet, but you never really know until you see the place in person, he thought. This place seems OK. Nice, even. “Looks like wood,” replied her father, Bernie. He was carrying two suitcases, which he hauled through the room and into the next. “It gets dark here too early!” came a woman’s voice, the next to enter the house. Marlene, Emily’s mother, came to stand next to her daughter, looking at the large empty fireplace. “It’s cold!” she observed, rubbing her hands together. “Help me find it,” Steven asked Emily, and they opened the boxes, which were filled with Christmas decorations. Marlene wandered out of the room, exploring the rest of the house. Bernie and Roy disappeared outside, going for more boxes and suitcases. “Never?” Steven asked, taking the holder from her and spinning open the screws that would secure the tree in place. Roy and Bernie entered with the tree, netted together into a long pole. They positioned the tree over the stand while Steven secured the screws underneath. Once it was in place, Roy removed a pocketknife and began cutting at the netting. The branches of the tree descended into a proper shape. “Smells so good!” Emily said as she watched her grandfather and uncle work. “There,” Steven said, lifting himself from the ground. They stood back and admired the tree. Emily turned to the boxes, and Steven walked outside, looking for the woodpile. He found a covered stack around the south side of the building, and selected several small logs that looked dry. Lying on the top of the stack was an ax, and he used it to chop up a couple of the logs into kindling. Above him, the beam of light from the lighthouse next door swung over his head, circling every few seconds. He stopped and looked out over the water. It was now almost fully dark, with low clouds reflecting the last of the light. The smell of salt water filled his nose; he took in a deep breath, enjoying the quiet and serenity. The day had gone well. Dreading the airport on Christmas Eve, he was surprised that retrieving his brother’s family had gone so smoothly. It hadn’t hurt that almost everyone there seemed in a good mood. As he and Roy waited for them at the baggage claim, there were happy reunions all around him, and it was infectious. It made the entire day seem better. It had been years since he’d seen Bernard. Long ago his brother moved to San Antonio and hadn’t been back. When on a recent phone call Steven reminisced about past holidays and casually threw out an invitation, he hadn’t really expected Bernie to take him up on it. He knew that his brother and Marlene, his wife, weren’t getting along, and that at times they struggled with how to raise their seventeen-year-old daughter, Emily. Bernie surprised him by agreeing to come and spend the entire week between Christmas and New Year’s. He chopped at the wood, recalling when the idea occurred to him to find a place they could rent for the holiday rather than spend the time at his house in Seattle. A friend had sent him a packet of brochures from a trip to Florida. One of the brochures was of a lighthouse, and it made him wonder about local lighthouses. Discovering that you could rent the old light keeper’s quarters at Point No Point, the oldest lighthouse on Puget Sound, had set him on the path of securing it for the upcoming family visit. He also recalled Roy’s opinion of the idea when he suggested it. He’d anticipated this from his father. Last Christmas at home had been unbearable. He’d lost his son, Jason, just months before, and the agony of that event was very fresh and raw. A lot of his misery had sunk into the walls of the place during that holiday. Now that Bernie was coming for the first visit in many years, he didn’t want to stay at home with the memories. He wanted someplace fresh, something that would give him a fresh crack at a happy Christmas. “How much is it?” Roy asked. “Oh, way out there?” Roy whined. “I was hoping for a new coffee maker for Christmas,” Roy replied. He smiled at the memory and picked up the kindling, stacking it on top of several logs, then carried it all inside. He found Roy assisting Emily with strands of lights. “Where’s Bernie?” Steven asked as he dropped the wood next to the hearth. “They’re still upstairs,” Roy replied. “Probably fighting,” Emily said, under her breath. The tree blazed up with hundreds of tiny white lights. Steven knelt at the fireplace and built the fire. Within a few minutes it crackled to life, and he began to place more of the kindling on it, allowing it to grow. “They are so much cooler than the plastic ones!” Emily said, beginning to hang the ornaments on the tree. “I wish we had some Christmas music,” Steven said, adding another log to the fire. “The hell I don’t!” Roy barked as he hung a delicate angel ornament on a branch. Soon the fire was roaring, and Bernie and Marlene showed up, admiring the tree. “That feels so much better!” Marlene said, clutching a blanket she’d taken from her bedroom. “Not used to the chill in the air up here?” Roy asked. “No, I’m completely acclimatized to Texas,” she said. Steven walked to the front door. “Where you headed?” Bernie asked. “I’ll help,” he said, rising from his chair. They walked together through the cold night air, mist coming from their mouths. Above them the beam from the lighthouse slowly cut through the air, like a hand on a giant clock, keeping time. “Beautiful out here,” Bernie said as he followed Steven around the house to where the wood was stacked. “You like the place?” Steven asked, not sure if the accommodations were going over well with his relatives. They reached the woodpile, and Bernie held out his arms for Steven to load. “Did you hear us?” Bernie asked. Steven knew his brother had a mean streak as well, but he knew better than to get in the middle of their troubles. “It’s tough sometimes,” he replied. “People change,” Steven said, placing another couple of logs in Bernie’s hands. “If they change enough, are you entitled to move on?” Bernie asked. Steven didn’t reply, not sure if Bernie was referring to the loss of Jason or the divorce with his ex-wife, Sheryl. “I don’t know, has Marlene slept with half the men of San Antonio?” Steven asked, regretting the question almost immediately after asking it. “Thanks,” Bernie replied, following him. Steven leaned back in his chair, feeling toasty warm both inside and out. Out, due to the roaring fire in front of him, and in, due to the hot buttered rum that had just been placed into his hand by Marlene, who walked with her own to the other end of the sofa and sat next to her daughter. Roy was already sipping at his, looking as though he was moments from sleep. All of the lights were off in the room except for the fire and the Christmas tree, and the combination of the booze and the warmth was relaxing everyone. A tiny trickle of Christmas music played from the speakers on Bernie’s cell phone, which was sitting on a side table next to the sofa, where he sat on the other side of his daughter. Emily was inspecting the watch she’d just unwrapped; a gift from Steven. He’d marked it “From Steven and Roy” even though his father hadn’t played much of a role in selecting and wrapping the gifts they’d just exchanged. She seemed delighted with the watch, and was trying to make it communicate with her phone. “Thanks,” she replied, smiling. Steven knew that Marlene had never really gotten along with her in-laws, but when he considered that most of the trouble might have been between Marlene and his mother, who was now deceased, he realized he’d never really spent much time around her. God knows my mother was a challenge for Sheryl, he thought. She was probably just as much of a challenge for Marlene. The gift exchange and unwrapping of presents had gone so well that he decided to drop any concerns about family troubles. It was Christmas Eve, and everything seemed right; the setting outside was stunning, the tree had worked out and was cheerful and homey, and the hot buttered rum was, as Roy said, perfect. Even the tinny music coming from the phone seemed charming. No reason to spoil it with memories of my mother, he thought. “Goodnight, Daddy,” Emily said. Bernie stood up and left the room. Over the crackling of the fire they could hear his footsteps on the stairs as he climbed to the second story. “So is it another rental next door?” Marlene asked. “No, it’s a museum,” Steven replied. “Museum?” Emily echoed, without looking up from her watch. Emily had placed earbuds in, and didn’t respond. He turned and walked down the hallway that led past the kitchen and to the stairwell, located at the back of the house. After ascending, the light from under the closed bedroom door on the left told him Bernie was still up. He passed by Emily’s and Roy’s rooms until reached the last one on the right, where he found his backpack and suitcase, sitting unopened on the bed. The room was cold, and he could see baseboard heaters lining the floor, but he didn’t feel like searching for the controls. He preferred to sleep in a cool room, anyway. He pulled his suitcase and backpack from the bed, slipped off his clothes, and slipped into the cold sheets, waiting for his body warmth to radiate and make things more comfortable. I should get up and brush my teeth, he thought, but then decided he liked the taste of the hot buttered rum still in his mouth, and decided to let his eyes close. “Morning,” Bernie muttered from the kitchen table. It didn’t appear that anyone else was up. Steven tried to look out the kitchen window, but was met with fog. The water’s edge, not more than a hundred feet away, had been completely swallowed up by it. “Looks like we’re socked in,” he said. “Welcome to the Pacific Northwest,” Steven replied, turning to look for coffee and finding a full pot in the maker. “You been up long?” Steven asked, sitting at the table. Steven smiled back. Not that long ago he would have, indeed, thought the idea of the place being haunted a crazy notion. The last couple of years with his father, however, had amply demonstrated to him just how very real hauntings could be. Prior to that time, he’d been a complete skeptic, and would have responded to Marlene’s comment the same way Bernie had. These days, he was far more likely to take it seriously. Marlene stumbled into the kitchen and walked to the window just as Steven had done. “Looks like we’re socked in,” she muttered. Steven caught Bernie rolling his eyes. “Merry Christmas, both of you,” Steven replied, hoping they would remain civil to each other at least until he was out of the room. Marlene sat at the table with her coffee. Steven wondered if they’d been verbally poking at each other the entire trip; if this was now the norm in their relationship, and last night had been a brief oasis. Either way it made him feel uncomfortable, and he thought about getting up to start the fire. Then he remembered the fights he and Sheryl had publicly conducted around family and friends, and how much he hated it when one of them left a room or distanced themselves as a result. At the time, it reminded him of how badly he was behaving, but it also made him feel loss of support, as though people he counted on were abandoning him. Completely irrational for me to expect them to stick around while Sheryl and I fought, he thought now, while deciding to stay in the kitchen with Bernie and Marlene. It was going to be a short vacation, and he hadn’t seen them in many years. If this was how it was going to be, he’d endure it. “You slept OK?” Steven asked Marlene. “Yeah, I think so,” she replied. “I don’t know how,” Bernie replied. “It was loud. Woke me right up.” He raised a hand to scratch at his neck. “You wake up at every little thing,” Marlene said. Steven was grateful that Roy entered the kitchen. He bypassed the window and went straight for the coffee. “Bernie heard noises coming from the museum last night,” Steven answered. “Did you hear anything?” Steven asked Roy. “We can ask Emily when she’s up,” Steven said. “That’ll be noon,” Bernie replied. Emily walked into the kitchen. “Good morning,” Steven said to her. She moaned something in reply, filled a cup of coffee and walked out, heading to the living room. “She’s not a morning person,” Marlene said. Steven walked into the living room. Emily was sitting on the sofa with her legs pulled up under, sipping at her coffee. He built the fire and poked at it until it was churning right along, then he plugged in the lights on the Christmas tree. He looked at her. She was zoned out, staring into the fire. “You sleep OK?” he asked. Steven was a little taken back by her tone. Marlene said she wasn’t a morning person, he thought. Boy was she right. “You didn’t?” he asked. “You didn’t hear it?” Emily said, still staring into the flames. “Oh, from the museum?” he asked. The watch on her arm beeped, and she turned her wrist to look at it. Then she smiled. “It just gave me a sleep report!” she said, and pulled her phone from pants pocket. She passed her phone to him, and he took it, looking at the graph. There was a huge spike in the graph, and at the bottom he saw the tick marks, metering the time of each reading. “You really didn’t hear it?” she asked, taking her phone back. “Lucky you,” she replied, swiping through her phone. “Well, it is Christmas,” Emily repeated a little anxiously. “Indeed it is,” he replied, and left the room for the refill. Terrell arrived around two, and they all chatted while sitting in front of the Christmas tree. Steven and Roy had talked with Terrell in advance, concocting a story about meeting Terrell when the two of them took his ghost tour in Port Angeles. It was close to true; Terrell did run a ghost tour in Port Angeles, but Steven and Roy had become friends with Terrell under entirely different circumstances. Terrell, for his part, seemed grateful to have been included. “Christmases haven’t been much in my family,” he said when Marlene asked him about his history. She pressed a hot buttered rum into his hands, then yanked it back. “You are legal, aren’t you?” she asked. “Yes, I’m over 21,” he replied. “How about me?” Emily asked. After a half hour of chatting, Marlene said she wanted to take a walk along the shoreline, now that much of the fog had lifted. “I’ll join you,” Bernie said, and the two of them left the living room, heading upstairs. “I’ll tell you why later,” she said, rising as well. They donned coats and were out the door before Bernie and Marlene returned from upstairs. When Marlene descended, she was thickly bundled. Roy began to chuckle. “How many layers have you got on?” Roy asked. “Two undershirts and this sweater,” she said, pulling her coat from the rack and slipping it on. Roy snickered again, and Bernie arrived, asking if she was ready to head out. “She and Terrell are already out walking,” Steven replied. Bernie seemed concerned at Steven’s answer. “You’ve got nothing to worry about, I assure you,” Roy said. “Forgive me if I’d rather make that call myself,” Bernie replied. Steven was surprised at the exchange. Roy had mentioned in the past that there was some kind of history between himself and Bernie that had played a role in his brother’s move to San Antonio years ago. Perhaps this was a sign of that rift, whatever it was. Bernie looked at him, and Steven could see the lines of suspicion on his face, carved there by whatever caused his distrust of Roy. Slowly his face relaxed as he came to accept Steven’s assurances. He reached up to scratch at his neck. “I’d rather we kept an eye on them,” Bernie replied. “And I’m sure she’d be horrified if we do, so we won’t,” Marlene said, opening the door and walking outside. Roy scowled. “None of your business,” he said, leaving Steven alone with the Christmas tree and the fire. Later that day, Steven prepared a full turkey dinner. Bernie and Marlene popped into the kitchen to ask if he needed or wanted any help, and he told them to leave him alone so he could work. Eventually Roy took up residence at the kitchen table, drinking coffee while he watched Steven. “Did Bernie and Marlene go back out?” Steven asked. “He and Emily have been out there a long time,” Steven observed, checking the oven. “It’s gonna drive Bernie crazy,” Roy replied, slightly pleased at the idea. “Have you checked it out?” Roy asked. Roy closed his eyes, and Steven knew his father had dropped into the River. He couldn’t stop to join him; he had too many tasks bubbling away in pots on the stovetop. After several moments Roy opened his eyes. 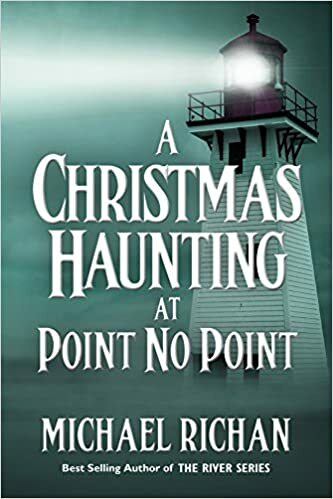 Pick up the full copy of A Christmas Haunting at Point No Point at Amazon today!